*Installation, There is The Length of The Screws to Pay Attention to. *Install The Wrong Will Cause The Screen Damage, We are Not Responsible for Such Errors. Compatible:Only Compatible with iPhone 7 plus 5.5inch, The Screen Replacement Repair Kit are Different Models and Colors, Please Choose the Right Option. 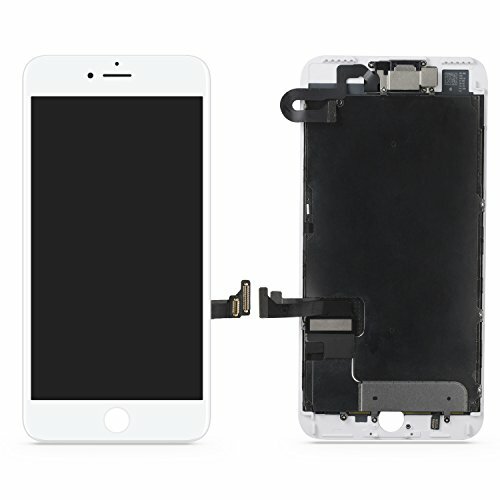 Advantage:The Complete 3D Touch Screen Digitizer + LCD Combination Screen,Include Front Camera, Ear Speaker and Silver Metal Plate,Only Need to Transfer the Button from the Old One Because the Fingerprint Sensor,Easy Operate. If you have any questions about this product by EC BUY, contact us by completing and submitting the form below. If you are looking for a specif part number, please include it with your message.